NIL BATTEY SANNATA: It is a tender tale about Chanda and her daughter Apu, residing in Agra, but is far from being a diligent student and despite having a heart of gold, she doesn’t dream big whereas Chanda wants it all for her daughter. 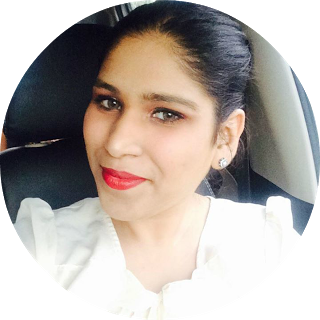 Chanda works 4 jobs to make ends meet and save a good amount to give Apu a career she deserves. 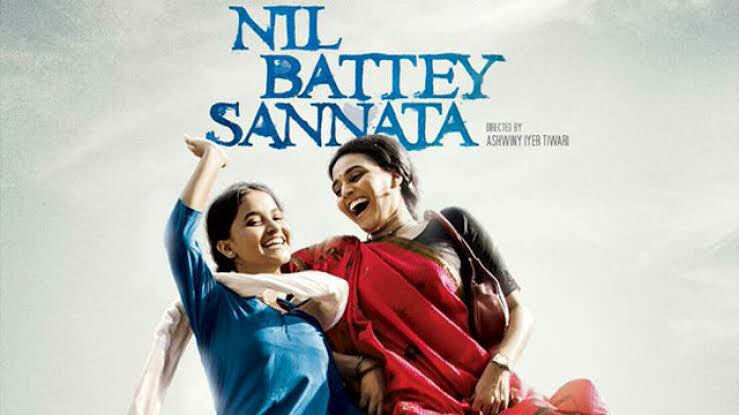 The performance given by the mother-daughter duo (Swara Bhaskar and Ria Shukla) is something which makes Nil Battey Sannata a must watch film. It has a strong message about how education can change one’s life. 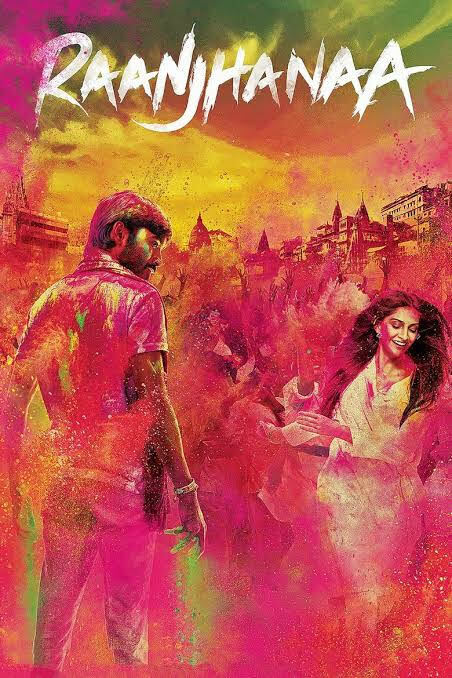 RAANJHANAA: Raanjhanaa is an eternal love story that chronicles the journey of Zoya (Sonam Kapoor) and Kundan (Dhanush). Kundan sacrifices his love when he gets to know that Zoya loves someone else. Dhanush plays the role of a local Varanasi boy whereas Abhay and Sonam play as JNU colleagues. Kundan sets out to unite Zoya with Akram and what follows is a tale of Love, Betrayal and healing set against the rooted town of Banaras and the political environs of Delhi. The movie shows a journey of a 13-year-old boy in love who goes on to become a committed young man. Raanjhanaa TRUE LOVE STORY. Watch it if you believe in true love. 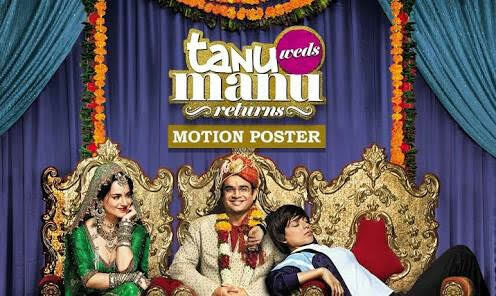 TANU WEDS MANU RETURNS: It is a story of a couple who experience challenges which lead to the collapse of their 4 years of wedding. The husband is then found developing feelings for a young student who looks like his wife. It is straight away a complete delight that keeps you laughing, cheering and guessing throughout the movie. Tanu Weds Manu: Returns has a plot packing in eccentric characters and hilarious scenes. The movie has double fun and philosophy. The lead roles are played wonderfully by Madhavan and Kangana but this time, Kusum; the Haryanvi athlete is something else and a must watch character. 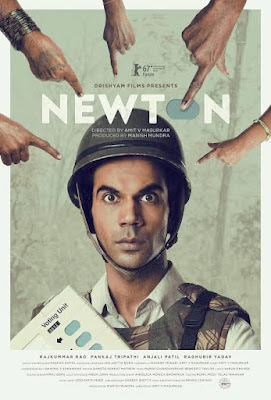 NEWTON: The movie is a must watch by Aanand L. Rai which shows a government servant being sent to a politically sensitive area in Central India for election duty and despite various obstacles of security forces and the looming fear of guerrilla attacks by communist rebels how he attempts to hold a fair and free election. The movie stars Rajkummar Rao in the lead role who seems to have done perfect justice to the movie. Talking about entertainment value, Newton takes on an unremarkable subject. Newton runs off with a brilliantly acted, lovingly shot, impeccably written film that Indian audiences needs. TUMBBAD: The movie by Aanand L. Rai is about a man and his son encounter a legendary demon while searching for hidden treasure in the 19th Century India. The movie revolves around the life of 3 generations of a Brahmin family. The mythological story is about a goddess who created an entire universe and the plot revolves around the consequences when humans build a temple for her firstborn; the one who must not be worshipped. The story emphasizes human nature and their never-ending greed. The work done by Sohum Shah and others is impressive which makes it a must watch movie. 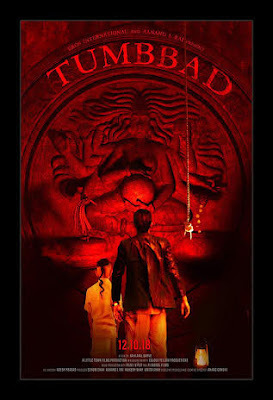 Tumbbad was flattered for its new approach toward horror flicks by the general audience and the critics. 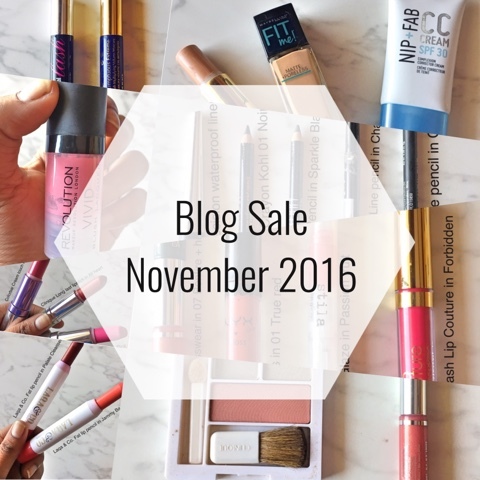 I hope you all like the recommendations here. 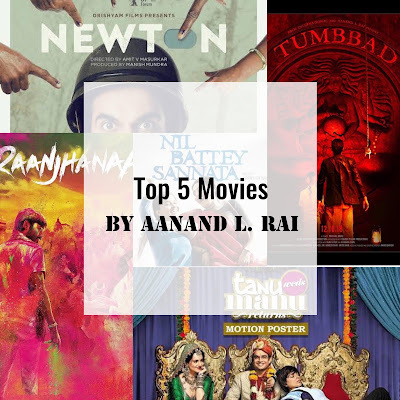 Do not forget to take out some time and watch these wonderful movies by Aanand L. Rai and yes, also the upcoming movie “Zero” starring King Khan, Katrina Kaif and Anushka Sharma.